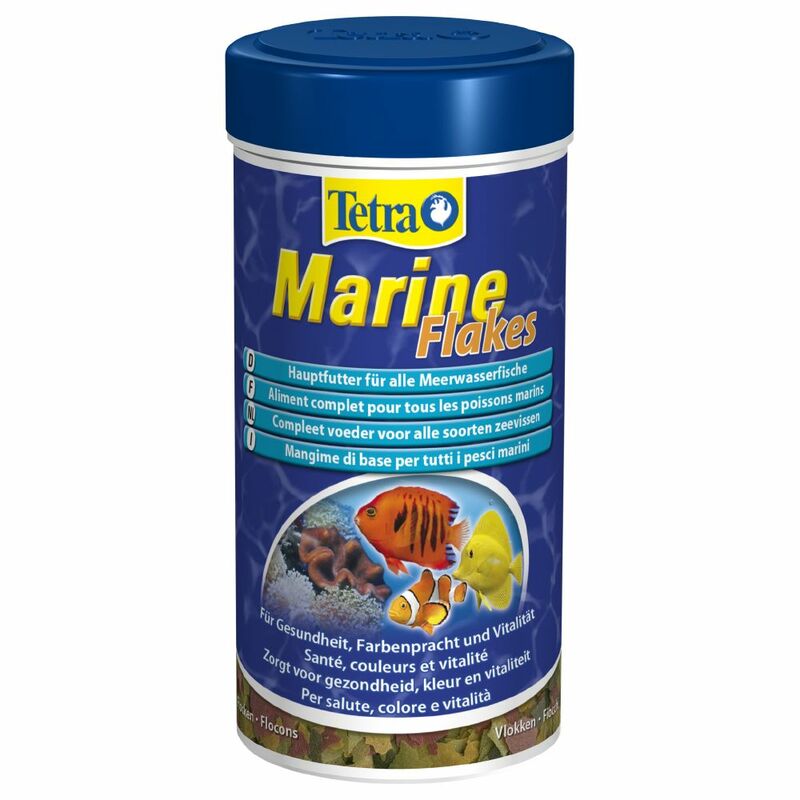 Tetra Marine Flakes are a complete flake food for small and medium-sized marine fish. The flakes have special floating properties that are guaranteed to be accepted well by your marine fish. In their natural habitat, small and medium-sized marine fish eat mainly algae, seaweed and small marine crustaceans. Tetra Marine Flakes are specially formulated to meet the dietary requirements of marine fish in a recipe that combines all vital nutrients. The flakes contains optimally balanced ingredients such as seaweed and mineral-rich spirulina algae. High-quality fish oil and small marine crustaceans help to complete the recipe, creating a species appropriate diet for your fish. The flakes have a special floating property that make them move and float in the water just like your fish's natural food. The flakes appeal to their natural feeding behaviours and instincts, guaranteed to be high-accepted. Tetra Marine Flakes at a glance: Complete food for small and medium-sized marine fish Optimal nutrient content with seaweed, spirulina algae, high-quality fish oil and small marine crustaceans Guaranteed high acceptance With BioActive formula for improved overall health Flakes with a special floating property that allow fish to feed in a natural and instinctual way.